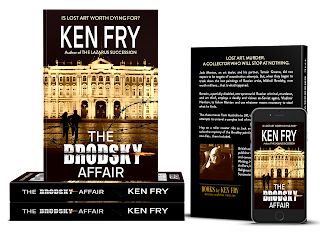 The Brodsky Affair: Murder is a Dying Art by Ken Fry is a thriller fiction novel that takes place across Australia, the United Kingdom, Russia, and France. The Brodsky Affair will appeal to both young adults and adults who enjoy murder mysteries in the art world. Jack Manton is an art dealer that ends up the target of an assassination plot, along with his partner, Tamsin Greene, when they begin their journey to track down the lost paintings of Mikhail Brodsky. The lost paintings are worth millions to the right buyer, and that level of heat takes the partners into a world of danger, assassinations, and intrigue that they were not prepared for. Berezin is a Russian criminal who has committed both murders and thefts throughout his criminal past. He has been set on the trail of Jack Manton by an ex-Soviet agent to steal the lost paintings of Mikhail Brodsky, no matter what it takes. movies in the way the main characters are trying to track down a piece that is worth millions when they run into more danger than they could possibly have predicted. The Brodsky Affair is a very fast paced novel with a riveting story line that pulls the reader in further and further with each turn of the page. 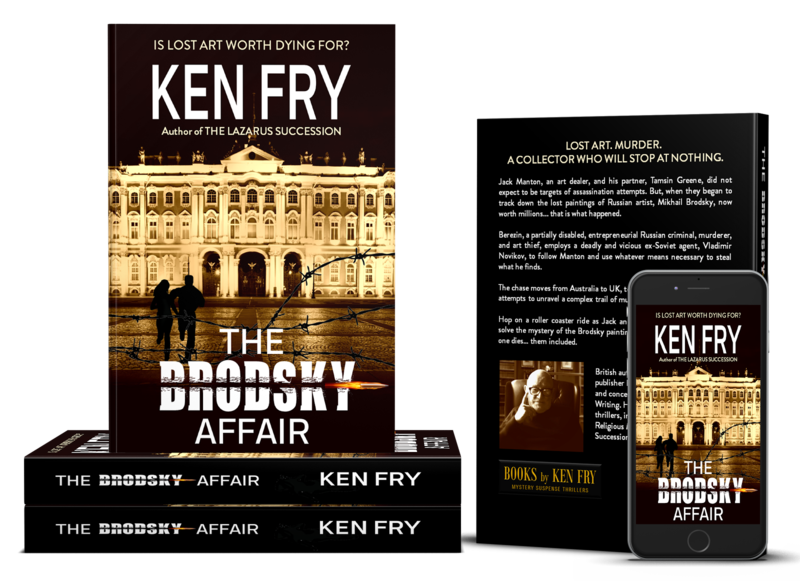 The Brodsky Affair obviously took Ken Fry a good deal of time and effort to write, yet that effort clearly pays off with how the characters are all well written and the plot flows together without any plot holes. The Brodsky Affair is a book that I hope will have a sequel. The Lazarus Continuum Pre-Release Giveaway!